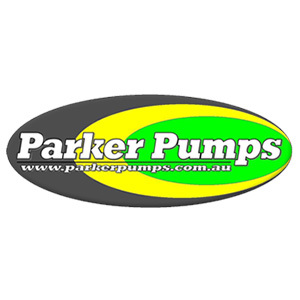 Back in a previous post, the topic of the day was all about submersible pump clogs. The why and what’s of pump blockages leads nicely to the next pumping predicament. If a sewage pump, sunken in a nasty effluent well, does clog, what's the next move? How does a stumped repair tech get out of this tight spot? Oftentimes, submerged effluent pumps are sunk so far below the ground that a technician can't even see the thing. He lifts the manhole, lights his torch, and all he can see is a scum-covered pool of murky sludge. Going back to a previous post, those deep, narrow wells sometimes include lift chains or ropes. Carefully lift the pump to the surface to see if its inlet is clogged or the equipment volute is blocked. Either the flexible discharge hose comes up with the pump, or it disconnects from its common header. Somehow, by exploring the pipe and hose couplings, the maintenance team figure out the best way to access the submerged sewage pump. They just pull it to the surface. A sewage ejector doesn't include the disconnect option. Alternatively, the maintenance workers have a better idea. They've come armed to the teeth with equipment, plus knowledge. They know there's a cleanout line on the property. Accessing this line, after turning off the mains water, they release the pressure. A short, stubby pipe is identified as the cleanout line. It's capped by a rubberized stopper. Completing this action, the pressure release moves the clog out of the system. It crumbles and breaks down. But what if it lingers, stubbornly and dangerously? The dispatch truck has a hydro jet rig, so a special nozzle is inserted into the line with the pump removed. A high-pressure jet of water clears the blockage. If there are smaller clogs, perhaps back at a home or commercial property, there's yet another option. Back the hydro jet goes into the truck, and out comes the plumbing snake. Declogging work is tough enough in the home. There are homebrewed solutions. Lemon juice and mild detergents work sometimes. Store bought plumbing snakes are next, but contractor-handled models are far more reliable. Outside, where sump pumps and submersible sewage pumps defy standard maintenance methods, there are chains and ropes to lift these filthy units free. Finally, and this is the hardest job of all to solve, there are in-line clogs to clear. The surfaced effluent equipment is de-clogged and clear. Unfortunately, there's still a line blockage, so the techs explore other options, including chemical cleaners, cleanout lines and hydro jets.